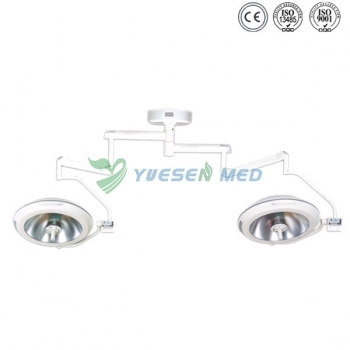 YSOT-600B2 shadowless operation lamp is suitable for the requirements of various operation conditions and it is ideal operating lighting equipment for modern operation rooms and clean operation rooms. ◆ The no welding titanium alloy main arm is adopted, so that the appearance is aesthetic and the rotation is more flexible and convenient. ◆ The removable handle sheath can be disinfected at the high temperature of 135℃. ◆ The depolished panel made of imported material makes the light rays softer. ◆ The special radiation filter reducing the heat to the minimum level. ◆ The multi-flake retroreflector made of imported aluminum sheet has the features of no coating film and never fading. ◆ Imported lamp receptacle, Tungsten halogen bulbs of international brand are adopted with the average service more than 1500 hours. ◆ Light adjustment circuit adopts CPU control, enabling increase or decrease of illumination and boasting brightness memory. 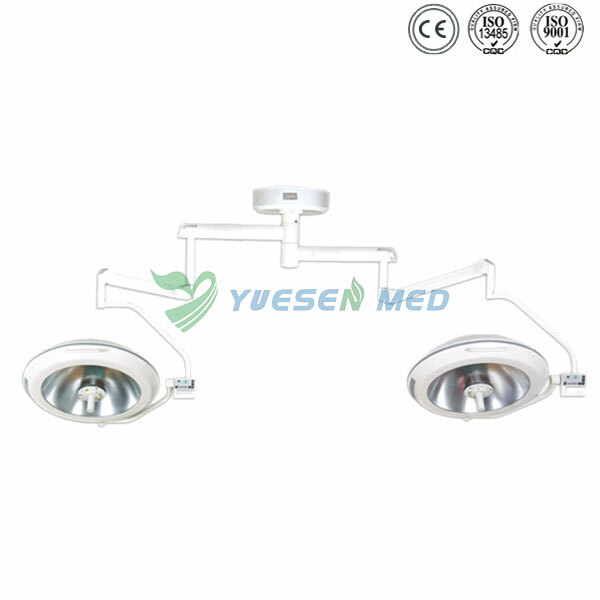 ◆ One lamp holder with two bulbs enables automatic operation of the standby bulb in 1/2 second when the main bulb malfunctions, and it has indicators for the damage of main or standby bulb.